See I told you September is a baking month! (Whatever, it’s October right now, but I’m in slight denial.) To be fair this was served the VERY end of the month so – compromise. 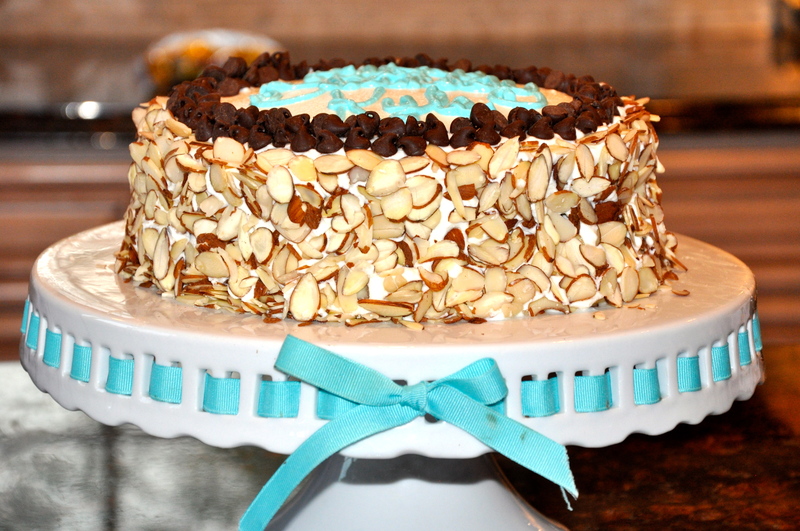 Regardless, it was such a fun cake to make, also – it’s really pretty! Matching the icing to my bow? Not planned but very proud of it! 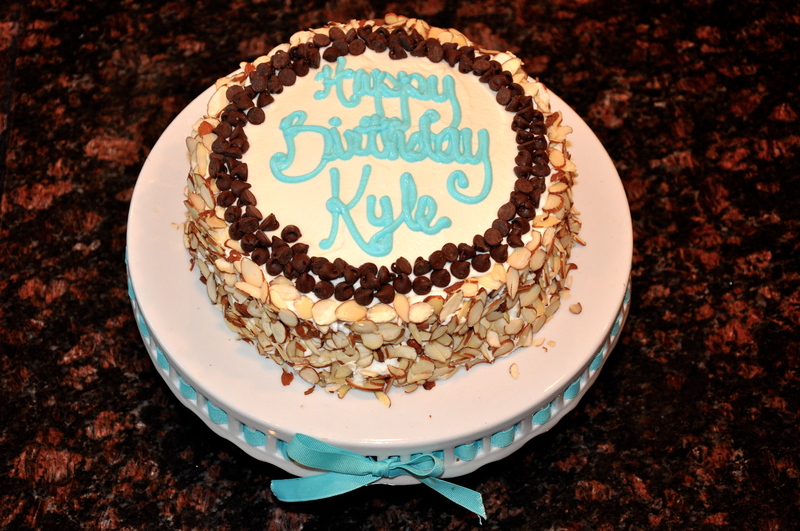 So Kyle is really supportive with this whole baking thing. I mean, it takes a huge toll on him, you know? Having to try my creations, taste the frosting, and sometimes he even “prewashes” the bowls and spatulas by licking them clean! I tell ya… But in seriousness, he really tries to think up the most creative and fun concoctions for his birthday, which actually makes me really happy – I LOVE a challenge! 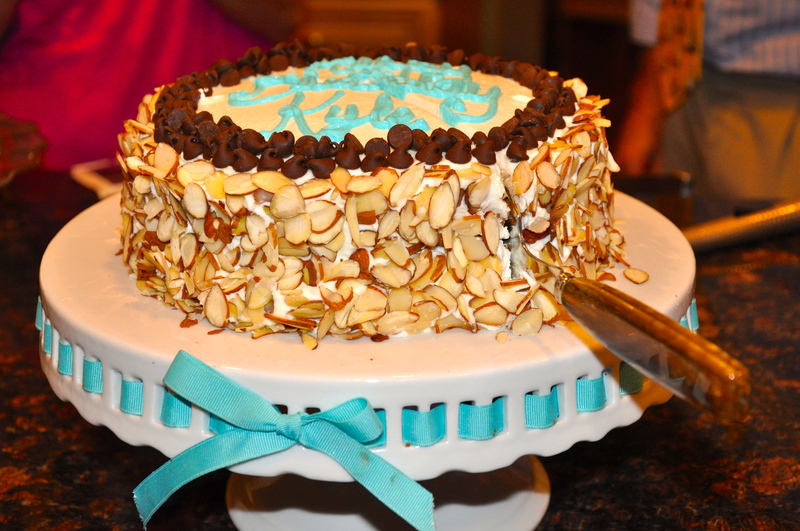 If you couldn’t tell, this year’s creation was cannoli cream and white cake. 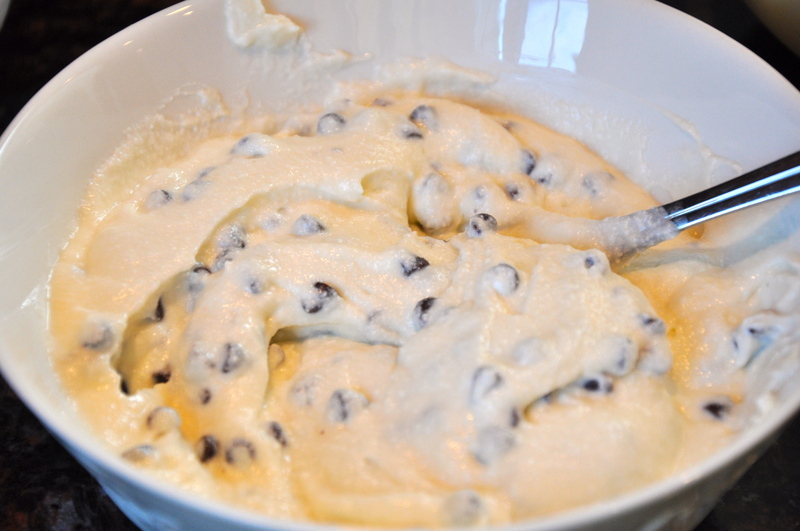 Has anyone ever tried to look up cannoli cream recipes? There are SO MANY VARIATIONS it’s insane. I have a confession for you. Not only did I screw up – but it turned into one of those run-out-of-the-house-in-yoga-pants-and-crazy-bun-on-the-top-of-the-head-after-dinner-to-buy-more-ricotta-cheese moments. (Those happen SO often don’t they?) My initial recipe, as you can see above, was WAY too cinnamon-ey. So, I had to run out and start over. However, after sitting in the fridge overnight, the sugar intensified and it became much more palatable so it’s in the freezer anxiously awaiting an assignment. The recipe I ended up using however was super simple and to the point, “take ricotta and add sugar to taste.” Brilliant words. It tasted fantastic! 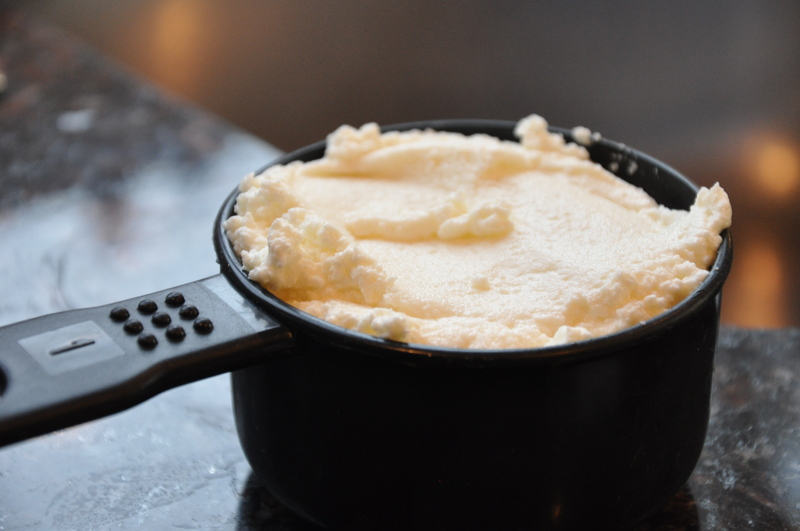 I believe I took a 2 lb container of ricotta cheese and added between 2-3 cups of sugar. Beat the cheese first to smooth out the lumps! 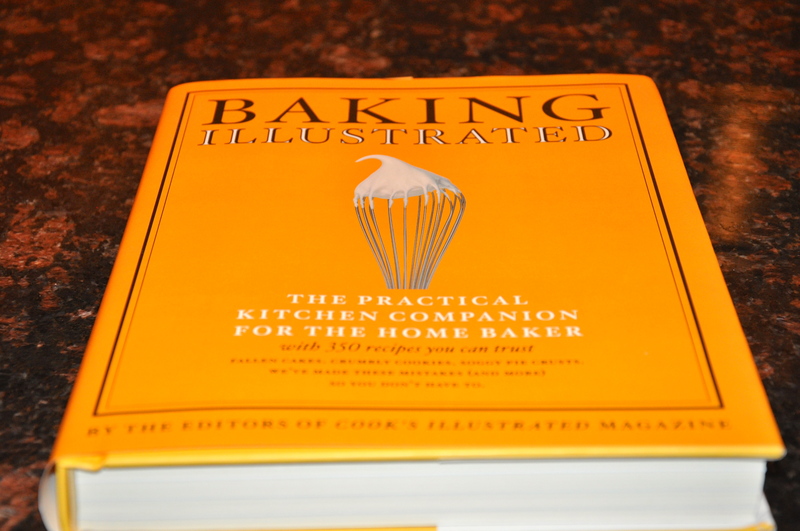 I made a white cake using the BEST RECIPE BOOK I’ve ever laid eyes on. Seriously, you all know I’m a huge fan of finding blogger recipes and utilizing the internet to the max. But I was given this book as a present, and practically carried it around with me for 2 weeks just looking through it! Seriously. Awesome. Book. But because it’s a published book, that “unauthorized distribution without permission” line applies here and I can’t post the recipe. 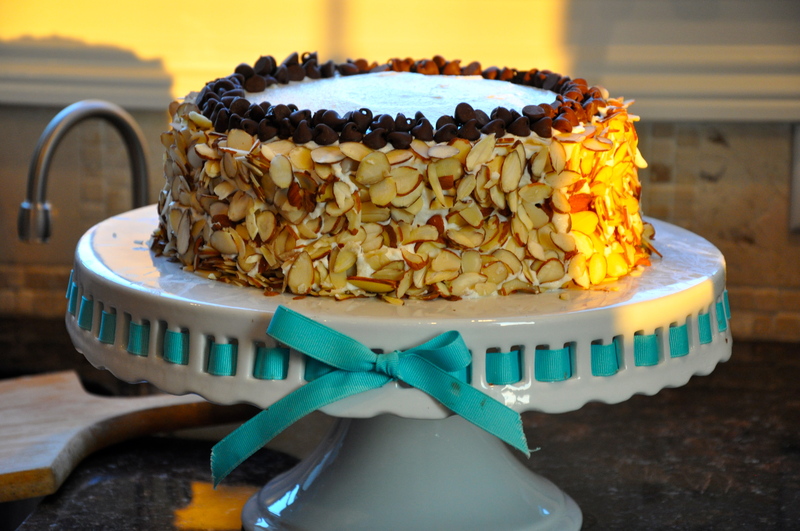 But it was an awesome almond-ey vanilla-ey sweet white cake. 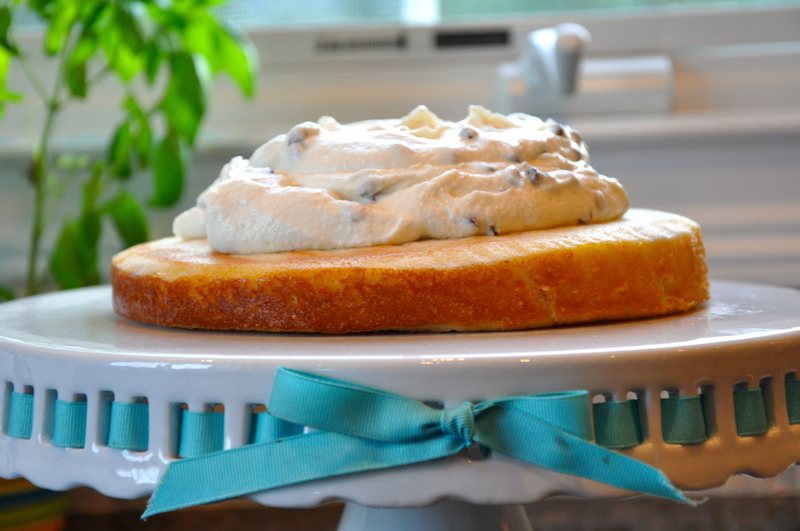 Great base for jumping off with extracts and flavor variations! I mean, did you guys think that I wasn’t going to add MORE CHOCOLATE?! 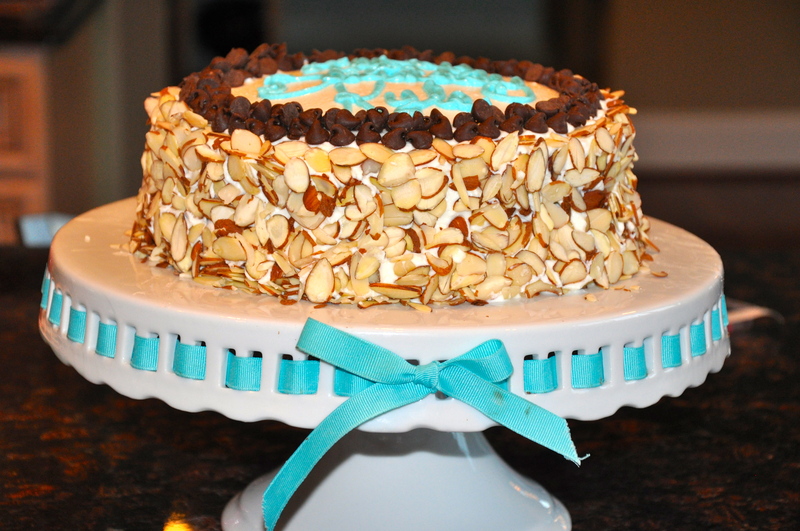 I’ve covered the outside of cakes with crumbs, jimmies, and random other assorted goodies, but never almonds. 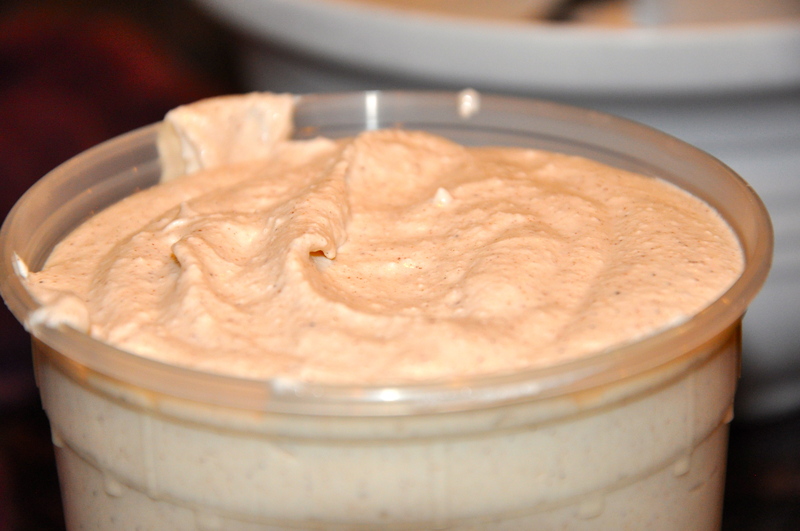 Since the cannoli cream was relatively thin, the almond covering aspect was SUPER messy. You should have seen me – I was loosing it. This cake was divided up and promptly devoured! Saved some for a very demanding uncle which is sitting, precariously I might add, in our freezer. Goodie-bag-plates and a day or two of leftovers and nada! It’s GONE! 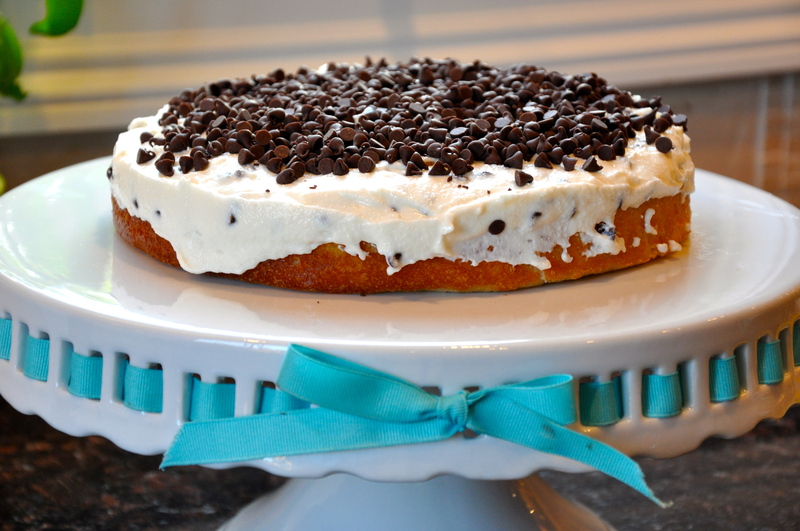 If I could make cakes and cupcakes all day I would be SO happy, but I cannot keep having leftovers in my house! So who wants cake? And in case you were wondering – yes the stain on my blue bow has been bothering me this WHOLE time. I’m looking for more ribbon as we speak. Until next time – Happy October Baking!